Of the 52.5 million Americans suffering from arthritis (as CDC statistics show), 1.3 million suffer from rheumatoid arthritis, a chronic inflammatory disorder manifesting itself in different small joints of the body. It is connected to disability, compromised life quality as well as premature mortality. But despite its clear signs and symptoms, rheumatoid arthritis is difficult to diagnose, especially since it often mimics other illnesses. This autoimmune disease causes the body’s natural immune response to shift and attack the joints. Inflammation occurs inside these joints, causing abnormal deposits to thicken the lining of the affected joints. Chronic inflammation causes significant damage over time by affecting the elastic tissue covering the end surfaces of a joint. The affected joints become painful, they suffer mobility restraints and may even become deformed. Because deformities cannot be reversed once they have occurred, healthcare professionals recommend that rheumatoid arthritis be diagnosed as soon as possible and treated aggressively. Rheumatoid arthritis affects women 3 times more often than it does men and begins between ages 30 and 60. In men, on the other hand, the disease appears later on in life. During the initial stages of the disease, rheumatoid arthritis sufferers don’t necessarily experience swelling and redness. At this point, painfulness and tenderness are the prevailing symptoms. There is a variability in symptom presentation with each patient, as the disease can come and go. The proper diagnosis will be made by a rheumatologist, a doctor specially trained to deal with rheumatic diseases. The multitude of rheumatoid arthritis symptoms and signs you are experiencing will lead your physician towards the correct diagnosis, which will take into account your medical history as well as various diagnostic tests. Though there is no specific diagnostic test to confirm rheumatoid arthritis, several biomarker tests are linked to RA. According to treatment guidelines, patients should commence early and aggressive treatment immediately after diagnosis so as to achieve minimal to no signs of active inflammation anywhere in the body. Nonsteroidal anti-inflammatory drugs are the first line of medication prescribed to reduce both pain and inflammation. They, however, do not actively fight rheumatoid arthritis. 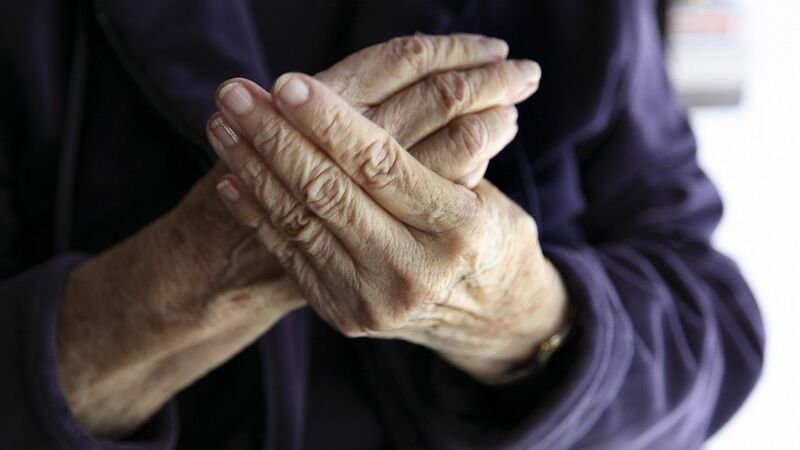 Disease-modifying anti-rheumatic drugs (DMARD), on the other hand, are essential in preventing rheumatoid arthritis from becoming progressively worse. They include methotrexate, leflunomide and sulfasalazine. All these DMARDs help attenuate the immune system’s response, though they come with various side effects. Biologics are another option, especially when DMARD therapy hasn’t produced the results that you and your doctor were expecting. Biologics represent genetically engineered proteins which are responsible for interfering with certain components of your immune system. They include a wide variety of compounds, such as abatacept, adalimumab, anakinra, certolizumab, etanercept, golimumab, infliximab, rituximab or tocilizumab. Steroids also represent an option and are mainly used when rheumatoid arthritis flare. However, long term use of steroids is associated with a variety of side effects, and therefore, their use is only temporary. They are administered orally or via injection directly in the inflamed joint. Physical therapy should also represent an essential component of your treatment plan, as it makes a big difference in the behavior and mobility of your joints. You normally receive an exercise plan from your physical therapist, meant to teach you precisely how to use heat and ice or massage in order to improve your condition. Be mindful of the fact that gentle exercise may strengthen those muscles around affected joints, effectively fighting fatigue. Gentle water aerobics, swimming or other forms of gymnastics may be of help. Surgery may be required if certain joints have been seriously affected by the inflammatory process. Joint replacement may be necessary for joints such as the knees or the hips. After surgery, patients dramatically improve their mobility and suffer significantly less pain than before. Though no consensus has been reached as to a rheumatoid arthritis diet, there are certain alternative therapies that have shown promise. Certain plant oils as well as fish oil have been included in clinical trials. In the case of fish oil, taking regular supplements reduces both pain and joint stiffness. Primrose, borage and black currant seed oil also reduces stiffness and pain. But both solutions come with one pesky side effect: nausea. Other clinical trials are being performed to analyze whether green tea, turmeric or ginger supplements have any effect in alleviating the symptoms of rheumatoid arthritis. Despite being in their early stages, the trials suggest that these compounds may have beneficial effects. Gentle movement, such as that promoted by Tai Chi, has also been shown to relieve stiffness and pain. Make sure to train in the presence of an experienced instructor, who can guide you through the learning process and ensure that you are not doing exercises that would exceed your capabilities. Also, make sure to never move in ways that cause pain.